UPPSC Assistant Engineer Result 2019 for AE (Civil, Agriculture, Mechanical, Electrical) (UP PSC 2013, 2016) Merit List of UPPSC Assistant Engineer Exam Result 2019-20. 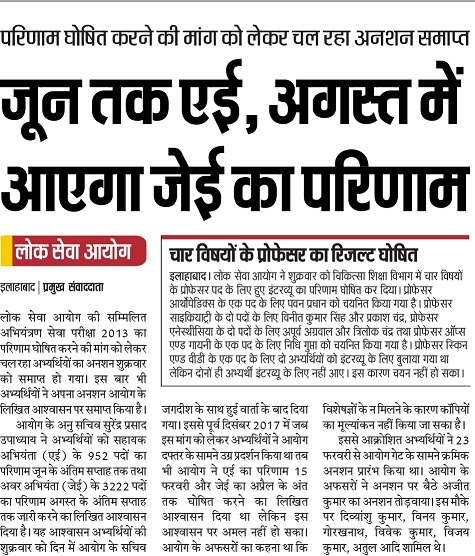 UPPSC Assistant Engineer Result 2019 Selecting Candidates on 13 December started protesting in Office of UPPSC. The Reason is UPPSC Engineering Service exam conducted on 22 May 2016 For AE 2013 as well as JE UNDER advertisement number of A-9/E-1/2013, Date 24-12-2013. 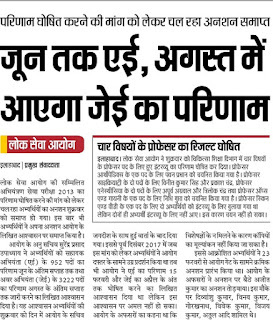 From December many qualified engineers are regularly checking the interview call letter of UPPSC Junior Engineer or Assistant but they see this than it becomes protest of mass in roads of UPPSC office. 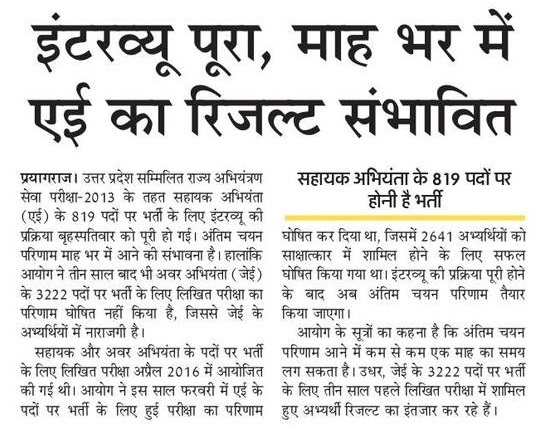 UP 819 AE Result 2019: Latest News 5 April UP Engineering Services Interview is completed and it may be declare Result 2019 in the month of May. 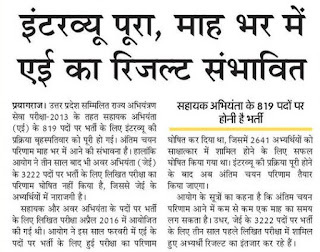 UPPSC AE JE Result Latest News 2019: Latest News 10 March UPPSC has given signal that it may release the JE & AE Exam Result Soon in August and June would be declared. UPPSC Assistant Engineer Merit List 2016: UPPSC conducting the Assistant Engineer exam on 22 May 2016. In this posts total (Sahayak Abhiyanta 952, Avar Abhiyanta 3222). In SP Government due to late thinking of UPPSC Officer this result become pending in Current BJP Government the result of AE JE comes in CBI Inquiry. You may also check of detailed notification. Latest Result News of AE Exam 2013: For More detailed knowledge, you can directly visit UPPSC office front gate. And there lots of candidates you will find of Lecturer, Assistant Professor, and Assistant Engineer etc. Become a part of UPPSC JE Exam 2013 and daily March and protest against May be you can get good news in this Happy New Year. UPPSC AE Cut off Marks: UPPSC Engineering exam result will be declared shortly but some time taken because it is the matter of aspirant career who want to make career in UPPSC. Advertisement No:- A-9/E-1/2013, Date 24-12-2013. Exam Date: The written Exam was held on two different dates 22 and 23 May, 2016. Total Number of Vacancies: Assistant Engineer 952, Junior Engineer 3222.